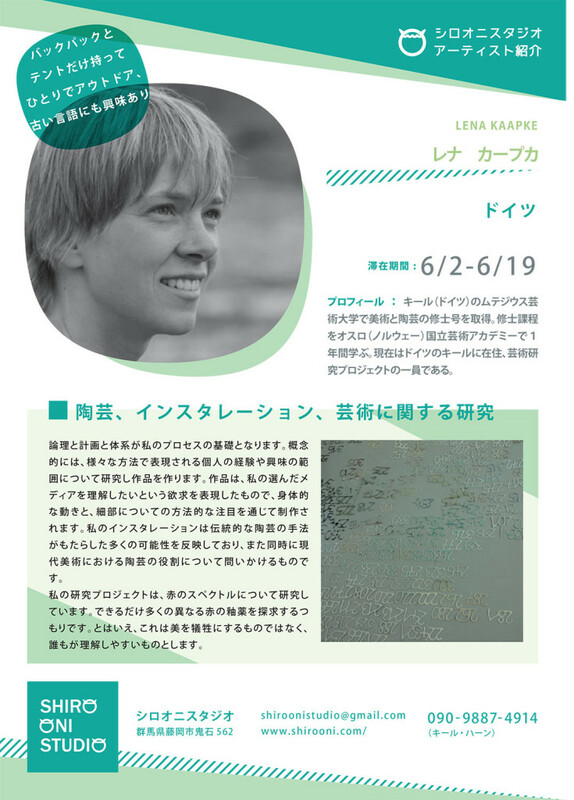 Lena Kaapke received her Master of fine Art in fine Art and ceramics at Muthesius Kunsthochschule in Kiel. Within her Masterprogramm, she was one year studying at the National Academy of the Arts in Oslo, Norway.Now she is part of an artistic research projekt in Kiel. She works and lives in Kiel, Germany.